A new study presented at the American Heart Association Scientific Session conference found that testing a patient’s coronary calcium levels is a better predictor of blocked coronary arteries at risk for a heart attack and the need for revascularization than standard risk-assessment equations used in medical practice today. Cardiovascular disease remains the greatest cause of morbidity and mortality in the United States, and determining who’s most at risk continues to be suboptimal, said Dr. Anderson. Two-thirds of Americans with cardiovascular disease come from the very large, and what’s traditionally been considered the low-risk portion of the population based on standard risk factors, which means a lot of at-risk people are missed during screenings. In the new study, researchers at the Intermountain Medical Center Heart Institute, which is part of the Intermountain Healthcare system, identified 1,107 symptomatic patients who presented to the healthcare system without any known coronary artery disease and who had a PET-stress test to measure coronary flow, conducted as part of their diagnostic evaluation. Researchers tracked those patients to identify who, based on PET scan results suggesting a blocked artery, went on to revascularization (a coronary stent or bypass surgery) and who had a subsequent heart attack or died during the subsequent two years. They found that risk equations that included coronary artery calcium measurements, i.e., the MESA Score and the Coronary Calcium Risk Score, were better able to predict the presence of symptomatic coronary artery disease requiring revascularization than the Pooled Cohort Equation, which relies only on standard risk factors such as age, gender, blood pressure, and cholesterol measurements. However, after the PET-scan results were acted upon, all three equations were only moderately successful in determining who over two years of follow-up would go on to die or have a heart attack. 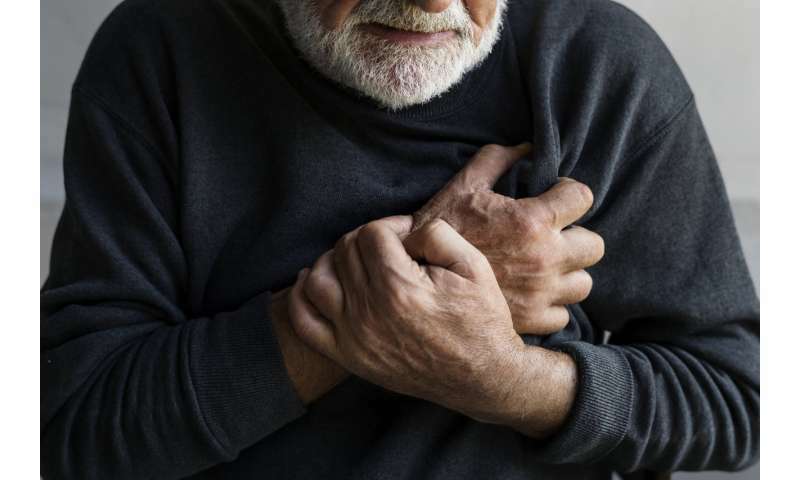 Noteworthy though was that of the 29 patients who showed no coronary artery calcium, none had any major heart problems in the time-period tracked. Researchers presented results from the study at the American Heart Association’s 2018 Scientific Session in Chicago. He also said the cost of coronary calcium screening is low, in the range of $100 or less, and should be considered in the future as part of routine medical care after age 50 for men and 55-60 for women. “We accept that mammograms should be done for women and colonoscopies should be done for everybody at a certain age, and they’re much more expensive than a calcium scan,” he said. Dr. Anderson hopes the findings lead to coronary calcium tests becoming more accepted and covered by medical insurance as a means to better predict who is at coronary risk, which not only will get high-risk patients into treatment earlier, but also keep patients who aren’t truly at risk from being overtreated.